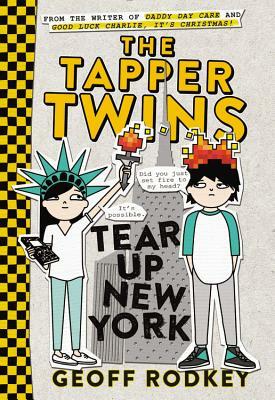 The Tapper twins' scavenger hunt takes cutthroat competition to hilarious new heights In the follow up to The Tapper Twins Go to War, Geoff Rodkey delivers another ultra-modern comedy told as oral history with texts, screenshots, and smartphone photos. When Claudia initiates a citywide scavenger hunt to raise money for charity, it's not just the twins' opposing teams that run riot. With the whole school racing to trade in sights seen for points to score front row tickets at Madison Square Garden, they may not get to the finish line with their dignity--and social lives--intact.